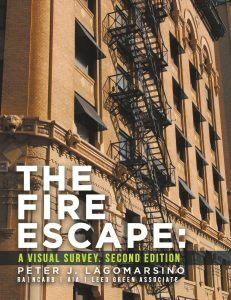 In this second edition of the book, The Fire Escape, A Visual Survey, shows the physical urbanity and human condition of man. By visiting the forms of the cities and its fire escapes from twenty five cities/urban areas in all four corners of America. Specifically, it is a survey of an architectural component which was mostly an afterthought.